A really awesome account of the Kennedy period just before, during and just after his assassination. 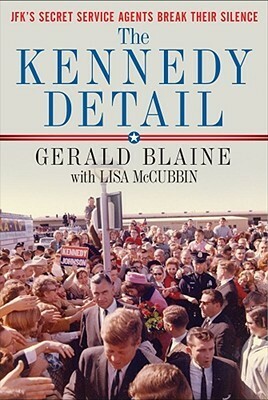 This book not only explains a turning point in modern history, JFK's assassination, but it also gives his Secret Service detail a human quality. Far too often we see the secret service as a bunch of humorless, intimidating dudes you don't want to mess with. Well, this book confirms all those feelings but also portrays them as real people who took their job extremely seriously and the Kennedy assassination very personal. In the aftermath of the assassination, these men were literally crushed. Sure they picked themselves up, brushed themselves off and moved on because that's what heroes do but it had to be excruciating. As a matter of fact, judging by the book, it was horrible. I highly recommend this book to anyone that wants a deep dive into a very important historic event that brought a great country to its knees for a brief period in time. But we picked ourselves up brushed ourselves off and moved on because that's what we do. Sign into Goodreads to see if any of your friends have read The Kennedy Detail. 43.97% "An excellent book so far. This book really adds a human element to the men we usually see as serious stoic individuals who hide behind dark sunglasses and are more than just a bit intimidating. Not to mention it's a wonderful blow by blow description of an important time in history that will never be forgotten for most and fascinating as well as deeply sad for all."